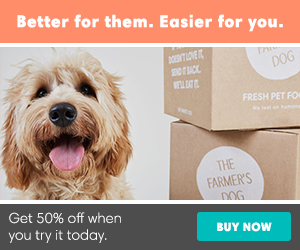 The Goldendoodle – Friendly, Adorable, Social Dogs - Petpav - Your Online Magazine for All Things Pet! The Goldendoodle is what is commonly referred to as a “designer dog,” or hybrid dog breed resulting from breeding a Poodle with a Golden Retriever. Like all other designer “breeds,” the Goldendoodle is not truly a breed of its own, but is a crossbreed and is becoming an increasingly popular dog. After all with its adorable look and temperament, the Goldendoolde can win your heart instantly. The Goldendoodle ranges in size from small to large, depending on the type of Poodle that the Golden Retriever is crossed with. 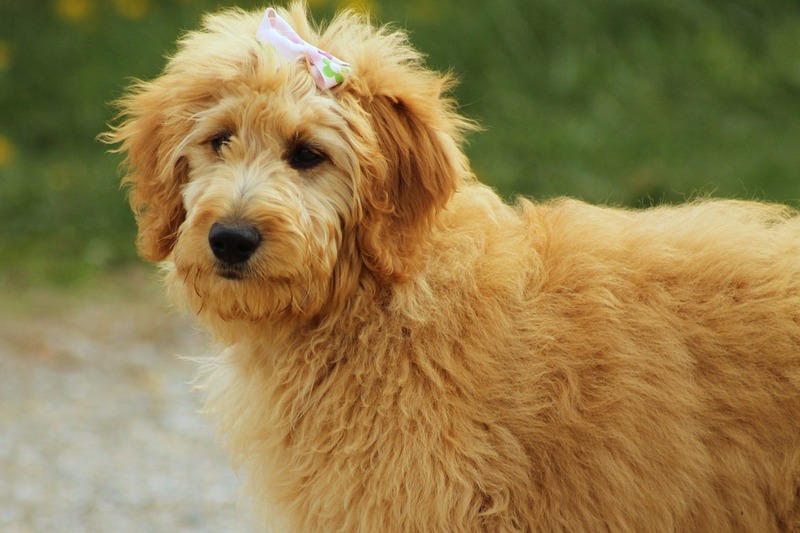 Originally bred as a larger alternative to the already popular designer breed known as the Cockapoo, the Goldendoodle has proven to be an excellent family dog. They generally range from 1 foot 8 inches to 2 feet tall and 50 to 90 pounds. Goldendoodles are very social and get along well with everyone. They don’t do well in any type of guarding or watchdog role and should not be used in that capacity. They can thrive in both city and country settings, but they’re not well suited to apartment living, since they do better with the space provided by a fenced yard. Goldendoodles should not live outside or in a kennel, however, since they thrive when they are in contact with the people they love. Goldendoodles can be very easy to train and are a good match for first-time or timid owners. They’re not known to have any aggressive traits, but they do need proper socialization to avoid their inerent shyness or fearfulness. Goldendoodles also need daily contact with their owners; they’ll suffer from separation anxiety if they’re left for too long. The best way to avoid any destructive behavior is to crate them and to provide toys and treats to keep them busy throughout the day. Keeping the radio on when you’re out is another great way to keep them happy. Goldendoodles are considered to be non- to light shedders and may be a good match for people with allergies. They do require weekly or biweekly brushing, and many owners opt to have them clipped. Usually highly affectionate, the Goldendoodle is gentle and patient and makes a wonderful family companion, especially since he actively enjoys human company. He is loyal and, with proper training, can be highly obedient. He does have a playful side and can be mischievous if the mood hits. Temperament is affected by a number of factors, including heredity, training, and socialization. Puppies with nice temperaments are curious and playful, willing to approach people and be held by them. Choose the middle-of-the-road puppy, not the one who’s beating up his littermates or the one who’s hiding in the corner. The Goldendoodle makes a wonderful family pet, especially if his nature takes after the Golden Retriever parent. He’s likely to be highly patient and gentle and to get along well with children of all ages. The Goldendoodle does well in homes with other dogs and pets and doesn’t actively show aggression toward other animals. Of course, as with all dogs, it’s important to properly socialize your Goldendoodle from puppyhood. The Goldendoodle has an average energy level and will require daily exercise through walks or a good romp in the back yard. Generally speaking, 20 to 30 minutes of daily exercise will be enough to keep a Goldendoodle from becoming bored. He’s known for his love of water, so swimming provides another opportunity for appropriate exercise. Since the Goldendoodle may grow large, he does require room to move. He’s not recommended for apartments but should have a home with some type of fenced yard. 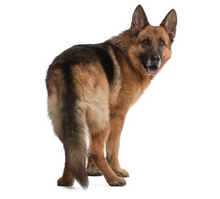 He’s not an ideal pet for outdoor or kennel living, since he thrives when he’s with his family, so owners should expect to keep him primarily in the house. The Goldendoodle can also suffer from separation anxiety, which can lead to destructive behavior, if he’s left alone for long periods at a time. So, leave chew toys out or make sure to keep your Goldendoodle in good company when you do leave. The Goldendoodle is a great, friendly “designer” breed that does well in almost every situation. As always, make sure to adopt a Goldendoodle when bringing one in your home as adopting is the best way to go!